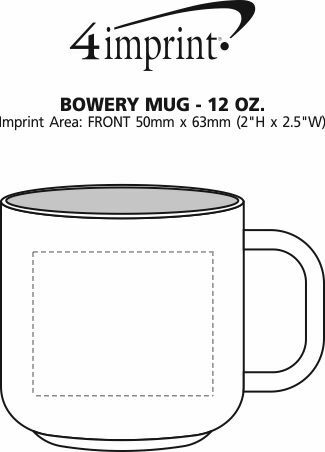 Bowery Mug - 12 oz. Pour them a fresh cup of your promotion! Everyone needs a reliable mug to hold their coffee, tea and other favourite beverage. This eye-catching ceramic mug holds up to 355 mL (12 ounces) of their drink of choice. Large D-shaped handle provides a reliable, comfortable grip. Exterior is white with a matte finish and contrasted by the glossy coloured interior. 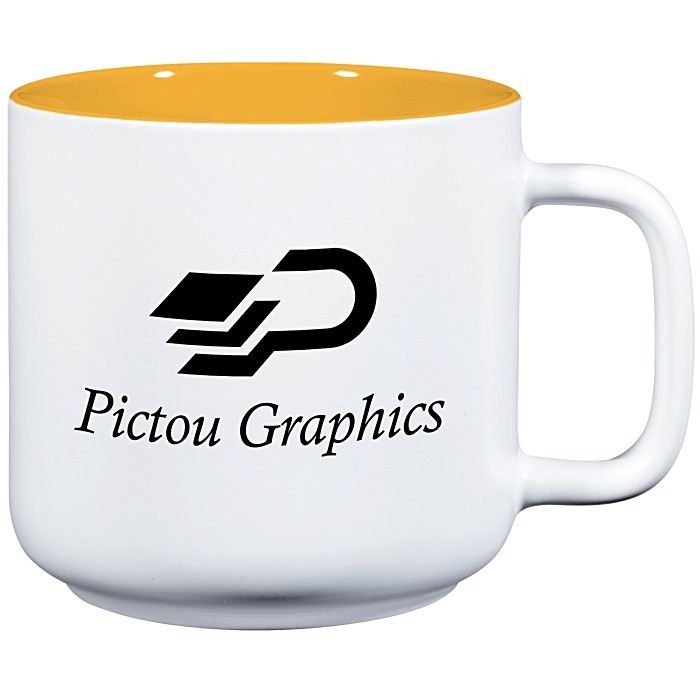 A great contemporary mug for any office or home kitchen! Size: 355 mL mL (12-oz). Your price includes a one colour imprint on the front of the mug.